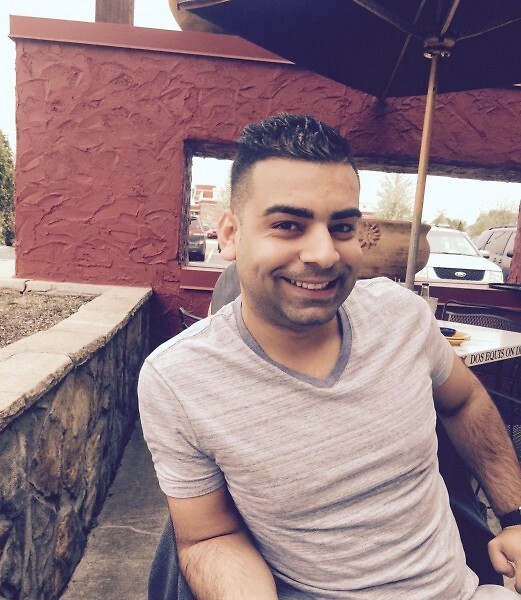 Mohannad Rjaila is a Grand Rapids business owner and entrepreneur. I met him through Wafa Haddad at Tigerlilly Arabic Language Academy. He sat with me in one of my early classes and talked with me about the importance of learning different languages. His intensity stuck with me and I have enjoyed over the years—through the magic of social media—watching his drive and determination as he’s created his own success. I asked Rjaila: What is an important part of your culture/heritage that you want to preserve in your life and also want to share with American culture? And, what in American culture do you embrace? Rjaila said: "There are many parts of Palestinian culture that I would want to preserve, such as music and food. The music is rich in meaning and feeds the soul. Music brings people and cultures together. It's something I want to share with American culture. Also, the authentic food dishes my culture offers are mostly healthy, delicious, and fun to make and share with others. There are many qualities of the American culture that I embrace. Diversity is on top of the list. It feels like there's a place for everyone. My name is Mohannad Rjaila. I came to the U.S. to attend school at Grand Valley State University. Originally, I was born and raised in Gaza, Palestine. Soon after graduation, I started my own small business aiming for financial freedom and to be a participant in a better economy in general."